When I’m getting glam for the day, I step up to my battle station and make a game plan. Okay, maybe you don’t call it a “battle station”, maybe you call it “a vanity”…..same, same. Every time I put together a look I always have my must-have, can’t-live-without items that I need to have on my dresser at all times. First thing’s first – the mirror. 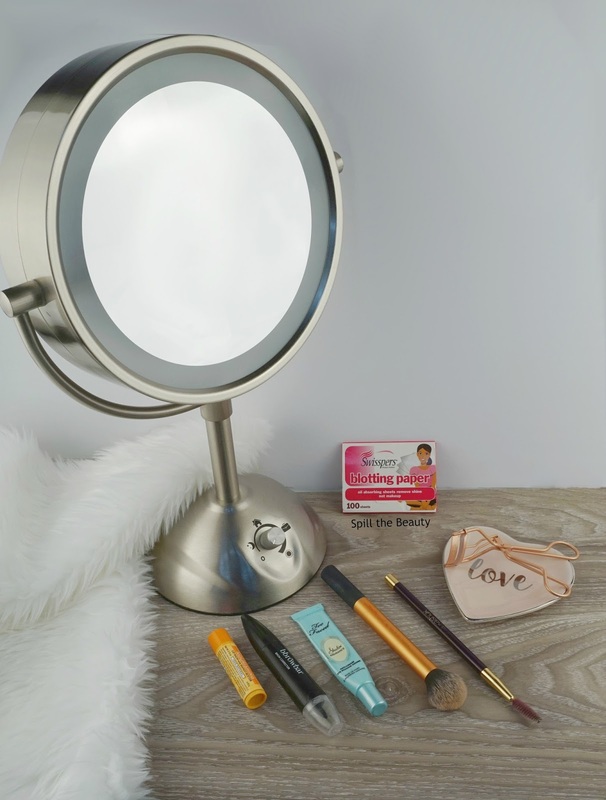 The Conair True Glow Magnifying Mirror is perfect for when I do my makeup. It has a regular mirror on one side, and a 10x magnification mirror on the flip side (for when I need to get real close to the mirror to do my winged liner). 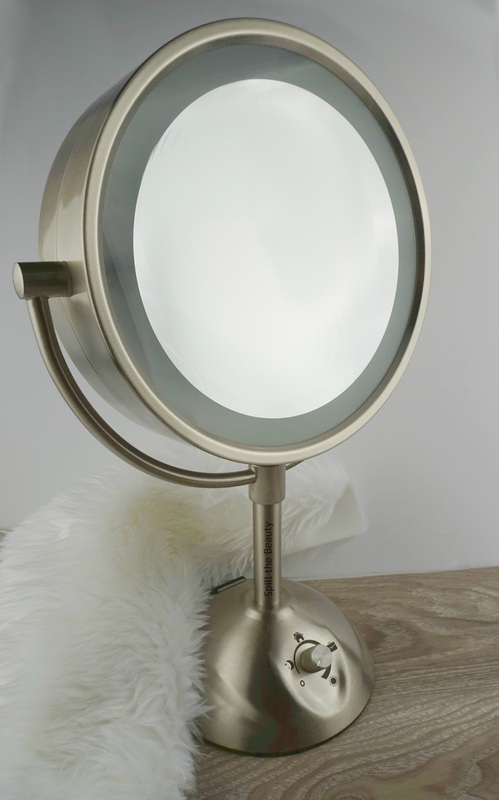 It also has 4 different intensities for the halo light that surrounds the mirror, so I can do my makeup in any type of lighting situation that I find myself in. 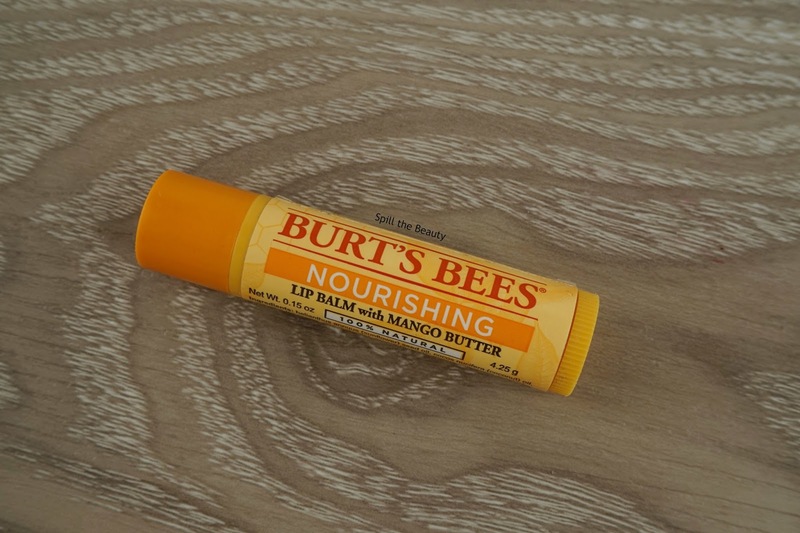 It’s no secret that my love for Burt’s Bees runs deep – I have a mango or pomegranate lip balm in every purse, bag, backpack, and desk-like surface near me. So it’s no surprise that I use the Burt’s Bees Nourishing Lip Balm with Mango Butter as one of the first steps in my beauty routine. I’ll apply a generous amount to my lips before I start my eyeshadow just to prep my lips for the lipstick that I apply as the final step in my beauty routine (this is an especially important step if I am wearing a liquid matte lipstick). On my beauty battle station first, then into my purse it goes – blotting papers! 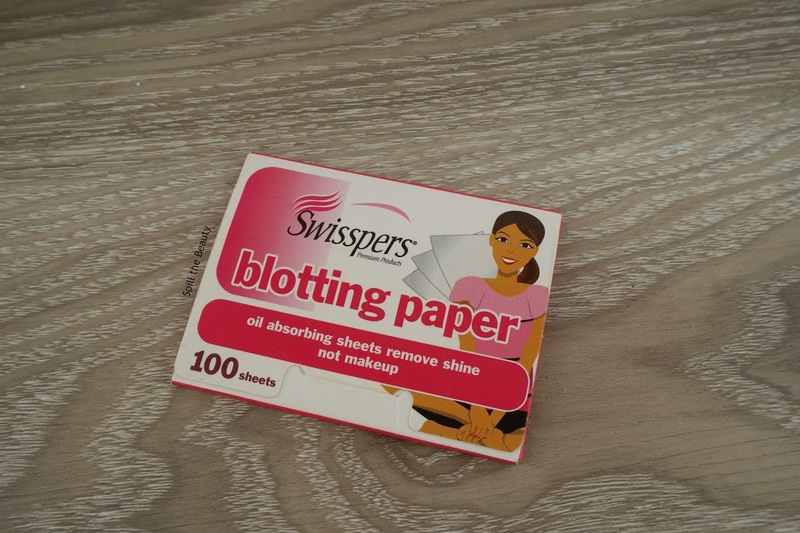 I enjoy using the Swisspers Blotting Papers, but I use the e.l.f. ones too – whichever one I grab at the store. They’re wallet friendly, and great for taking away excess oil before during and after your beauty routine (although I heard that Starbucks napkins also double as blotting papers – shhhh!). Eye primer is a definite must. I remember trying eye primer for the first time – SUCH a game changer. 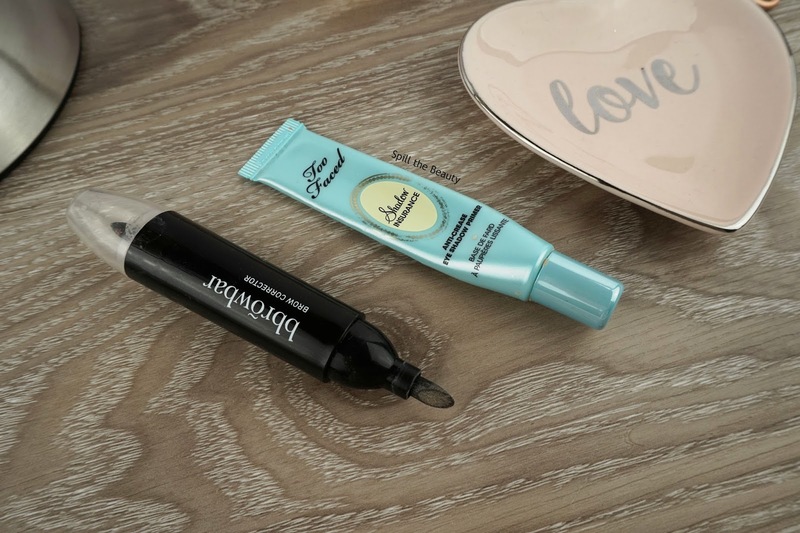 I use the Too Faced Shadow Insurance Anti-Crease Primer because it does just that – primes my eyes and makes sure that my shadow doesn’t crease. And when I mess up my cat eye using liquid liner (which is almost always), I’ll use the BBrowbar Brow Corrector to sharpen up the edges and erase any mistakes. It comes to a point, but also has a flat edge, which really helps carve out a sharp wing. Finally, let’s talk tools. 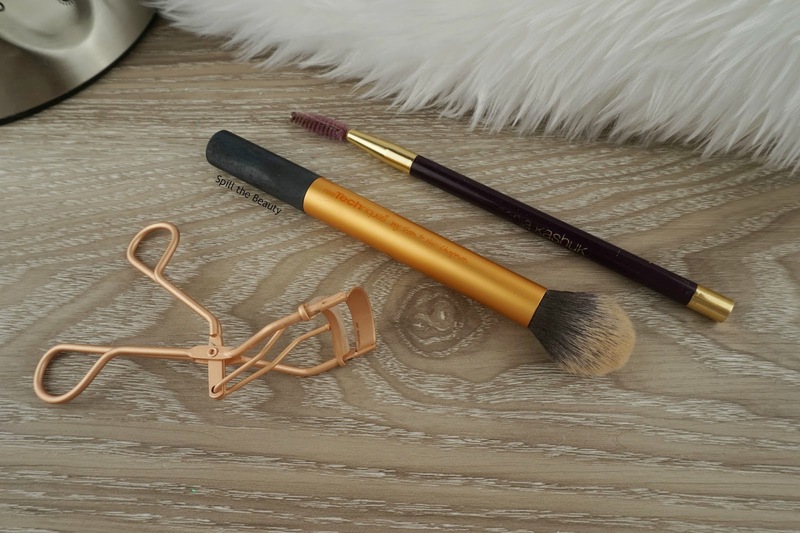 No lash look is complete without a little curl – I use the Tweezerman Rose Gold Classic Lash Curler (review with before & after comparison HERE). To set my under eye with loose powder, I love using the Real Techniques Contour Brush. Yes, it’s clearly meant for contouring, but it’s fluffy and it fits perfectly to my under eye area, so I like to use it to set my under eye concealer. And of course, we can’t forget brows. No matter what pomade/powder I use on my brows a spoolie is necessary. The Sonia Kashuk Spoolie is my weapon of choice to brush out the excess brow product and make my brows look a little more natural. So what is that one product that you have by your side during every makeup application? Let me know in the comments below.